Walk down any street in America with TV host Marc Summers and you’ll discover that daytime viewers of all ages will stop to say hello. Nighttime viewers will recognize him from his famous appearance with Burt Reynolds on The tonight show, plus his guest appearances on Politically incorrect. Born in Indianapolis, Marc enjoyed entertaining and dabbled in magic as a child. He wound up in Los Angeles working as a comedian, later combining his comedic and magic skills at the Magic Castle, a theme restaurant and club. His foray into hosting started when, as a CBS page, he filled in for an announcer of The Joker’s Wild. His quick wit and charm gained immediate notice, and Marc began performing studio audience warm-ups for such shows as Soap, Alice and Star Search. Soon after, Marc was offered the chance to host Nickelodeon’s Double Dare, unaware this would be the springboard to his future in television. Marc enjoyed his nearly 10-year association with Nickelodeon, including an ongoing role as a programming consultant, producer and director. He became a recognized TV personality from hosting Double Dare as well as the equally popular What would you do?. His enthusiasm and ability to encourage people to do anything made both shows instant hits, putting the network on the map. But no project better showcased his talent than Nickelodeon’s Pick your brain. Marc was creator, executive producer and host of this syndicated game show featuring three young contestants. Like many of Marc’s shows, it stressed teamwork and healthy competition with parents. After five years as a correspondent and guest host on ABC’s Home show during which he covered such stories as families with relatives in the Gulf War and the Branch Davidian stand-off live in Waco, Texas–Marc began hosting Lifetime’s daily lifestyle series Our home. After a couple of seasons on Our home, Summers went on to co-host another Lifetime talk show, Biggers & Summers. It was during an interview with Dr. Eric Hollander on Biggers & Summers that Summers realized he may have obsessive compulsive disorder. His diagnosis was confirmed and treated, and Summers went public about his condition on various television shows including Larry King Live and the Oprah Winfrey Show. In 1999, Summers, with Dr. Hollander, wrote a book about his experience called Everything In Its Place: My Trials and Triumphs with Obsessive Compulsive Disorder. Today, Marc covers the sweeter things in life as host of Food Network’s Unwrapped and Trivia Unwrapped. He can also be seen on the reality series, The Next Food Network Star. Marc admits that all this exposure has allowed him to live out many dreams, such as hitting against Orel Hersheiser in Dodger Stadium and flying an F-18 with the Blue Angels. “The thing I enjoy most about my career is the variety of things I’ve been able to accomplish,” he says. Marc lives in Los Angeles with his wife and two children. Do you want to hire Marc Summers? Directly request a quote. 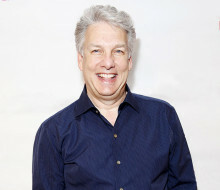 In 48 hours we can send you the availability of Marc Summers If you would like to book Marc Summers, Entertainment Booking Agency is the right place. We will offer you the best price and contact the management or we directly contact Marc Summers. For corporate appearances or speaking engagements you can contact our agents and the will help you true the process. Tags: hire Marc Summers, Marc Summers booking, book Marc Summers, Marc Summers appearances, find more information on booking Marc Summers for appearances, Marc Summers speaking engagements, Marc Summers endorsements/spokesperson, Marc Summers appearance fees, Marc Summers booking agency contact info, biography of Marc Summers, Contact an artist booking talent agent find a speakers bureau that can book Marc Summers, speaker booking agency for Marc Summers, Marc Summers booking agency, Marc Summers booking for corporate event. EBA is one of the biggest entertainment booking agencies in the World. We book hundreds of celebrities, artist, athletes and speakers in a year. Important to know is that we are not claiming to be the management of Marc Summers. We are not the official agent for Marc Summers. Companies from around the globe book these artists and speakers true our company be course we have one of the biggest networks and we always have direct contact with the artist or the management. We help you to find the right celebrities for your corporate of private events. Please contact one of our agents to get free advice and we will help to get the world-famous artist on your party.